Services you’re already providing may fit nicely for someone in direct sales. #vatip Gotta Tweet! 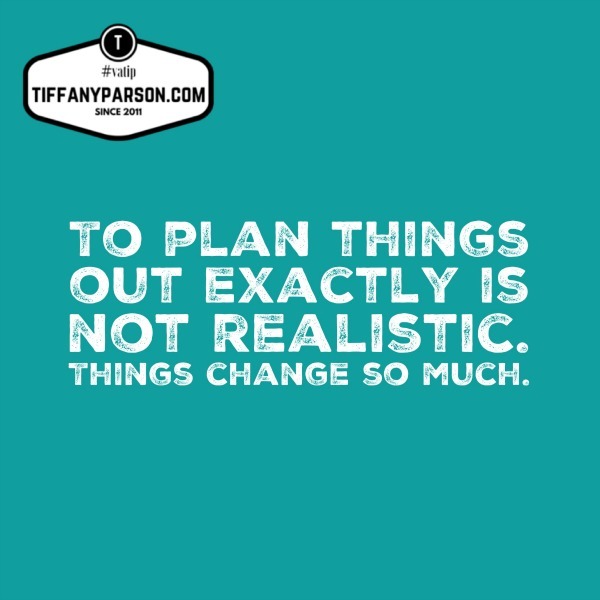 To plan things out exactly is not realistic. Things change so much. #vatip Gotta Tweet! It’s up to us to let people know how they can use a virtual assistant. #vatip Gotta Tweet! Hello, and welcome to episode number 70. We are going to talk about a mix of things this week. We’re transitioning from summer into fall. I think the first day of fall is the 23rd or the 21st, something like that. So we have just a few days left, maybe a week or so left for fall. Let’s just put it like that. A week or so left for fall. With school starting back, you may be looking at your schedule and it’s probably time to make some changes from the summer schedule to what your schedule looks like for the fall or school time, however it works for you personally. There’s nothing wrong with that, and updating office hours on your website, changing things around, deciding how you’re going to manage projects and manage your number one client, which is you. Making sure that your business is doing all the things that we do for our clients. You can almost feel that change in the air and part of it, for me, there are some times where I just want to sit and relax. I just feel that change in the weather. There’s, for me, a kind of calmness that comes with the fall. Lots of things I look forward to in the fall. One thing that I’m always excited and reflect on is the fact that I started my virtual assistant business in the fall of 2008. I went back to look at the calendar to see if I could get the exact date. I remember my first day full-time was on a Friday. Went back and looked at the calendar. I always knew it was around my dad’s birthday. My last day in Corporate America was September 18, 2008. That was on a Thursday. Initially, my last day was going to be Friday. I’m sure you’ve heard me talk about it before. I had to give a 30-day notice. By this time eight years ago, I was counting down the days. I just had a few more days left and I was nervous and excited and unsure all at the same time. I wasn’t unsure about my decision, but I was unsure about what was going to happen next. I had projects that I was working on already, plus my full-time job. I was excited, ready to go, but really unsure what’s going to happen after these projects are over. I think I had one ongoing client at the time, but a lot of one-off projects. September is definitely a month that is memorable because of that, and it’s just amazing to me how quickly time goes by. I didn’t think ahead, like where will I be five years from now. In 2008, I didn’t think about where will I be five years from now. I took it day-by-day. I didn’t even think about eight years from now. In 2008, I didn’t even think to comprehend eight years out, you know. It was a day-by-day thing because it was mine. I’d never done it before. I don’t even think to plan out that far is wise because so many things change. If you are sitting on the sidelines, or maybe you’ve been working for your full-time job and also you do your VA business part-time and you’re trying to map it out five years from now, eight years from now, that’s not really something you can map out. I’m not talking about your goals or your vision for yourself. I mean actual plans. I’ll be doing this. I’ll be doing that. That’s not something that can be mapped out. A lot of things that are happening right now, we weren’t even using three years, five years ago, let alone eight years ago. Eight years ago, were you on Facebook eight years ago? If you were on Facebook, were you using Facebook the way you use it today? No. We weren’t doing videos, live videos – nothing like that on Facebook. Things have really changed. Think about other things like Twitter. Were you using Twitter years ago? Most likely not, and even Twitter has changed from where it was, say, three years ago. To plan it out exactly is not realistic. It’s not going to work like that because things change so much. The biggest thing is making that one decision and deciding I’m going to go for it, and then recognizing when it’s time to make moves, whether it’s to the left, to the right, go forward, stay still. Not going backward, but left, right, moving forward, or staying still, and making adjustments as you go. You may be looking at a service to provide. Well, that service may be around for so many years. It might not be around ten years from now. There’s nothing wrong with that because things change, so you grab ahold of it while you can, while you’re enjoying it. While the demand is there, you supply that need and be the solution to that problem while it is needed right now. Just wanted to share that with you about the timing. It’ll be on Sunday where it’ll be the last day that I was in corporate, and then Monday morning will be the official anniversary of Virtual Hired Hand. I did not have a name on day one, so don’t let that hold you back. Didn’t have a website on day one, but I had projects to work on and some clients to work with, and that was the most important thing. I knew it was the right move. It was the right decision for me and I haven’t looked back since. Anyway, just wanted to share that with you. It’s episode number 70! Wow! I can’t even believe that I had all these things to say, and even have more things to share on the podcast. You want to make sure that whether you’re doing a podcast or blogging, you want it to be something that you could talk about on and on and on and on and on, because consistency is important. Consistency is very important. A few episodes back I talked about Facebook Live and gave some ideas for Facebook Live and shared a few articles and where I got some of the structure from in regards to Facebook Live. Those kicked off, let me see, a couple of weeks ago. My Facebook Live show, Tips & Tech with Tiffany, on my main Facebook page kicked off. Did that first show and it was fun, and I’m planning the next one because you know they’re weekly shows. So I’m planning the next one, looking forward to getting some information to you. That Facebook show is geared towards sharing technical tips, talking about tools and how your clients can work with you in providing that. That will be helpful whether you yourself are subcontracted to another VA, or how to communicate to your client how to work with you. A lot of times clients aren’t sure how it works. Sometimes they are leaning on you to have the plan and you just tell them, and then other clients already have a plan and then they tell you. So be flexible in that way. But the show, I’ll give some ideas about that. If you missed it, I will make sure to link that show in the show notes so you can check it out. That’s every Tuesday at 4:30 p.m. Eastern on the Facebook page, and we’ll have a link here in the show notes for you. If you’re just listening, the Facebook page, if you do a search for Tiffany Parson, you will find it, or go to Facebook.com/TiffanyParsonBiz, and there’s no ‘s’ at the end of my name. Sometimes people want to put an ‘s’ at the end – Parson – there is no ‘s’. Here’s the other thing with the summer to fall change. I feel the holidays coming on, you know, where you just want to have fun and be around friends and family. That’s another thing, to get ready for that. What are you doing in regards to the holiday coming up? We’ll be talking about Black Friday probably next month, thinking of ideas for Black Friday. Probably need to talk about that towards the end of this month. VAs can offer Black Friday specials just like all the stores do. You’re no different. Why would you think that? It’s a great time to introduce yourself to some new clients that need what you offer. Maybe test out something new that you wanted to try on a smaller scale. Anyway, we’ll talk about that in another episode. I’m in a group for direct sales reps and we’re getting training on how to serve customers, hostesses, and things like that. Funny, this week someone posted and asked if anyone had ever worked with a VA in their direct sales business, and you know I perked up. Whenever I see somebody looking for a virtual assistant, or asking questions about it, I perk up because of you. I thought, oh, this would be fantastic to share with you on the podcast because maybe this is something you’ve never thought about. How can you serve someone who is in the direct sales industry? Think about all the different things they do, and I’m speaking in regards to like a Mary Kay rep, a Jamberry rep, Posh, Pink Zebra, Avon, It Works, Beachbody. I mean, the list goes on and on. You could name them all – Traci Lynn Jewelry. There are all different ones out there, and they all could use a virtual assistant, and they may not even realize that they could use a virtual assistant. They may not even have thought about it. Sometimes in the direct sales industry, people take on the idea that they have to do every single thing themselves, and that’s crazy because as they grow a team and that team gets larger, you can’t do everything all by yourself. Then the other question was would you keep them virtual or would you have them come into your office, and she’s interested in somebody to be virtual. So I shared with her my experience with a virtual assistant and where I find them. You know what website I shared. Upwork.com is the website that I shared and told her to go there. You know, I have a VA on the team that I know personally. We went to church together, and then another one that I met on Elance, and you guys know that’s now Upwork. I gave her that information and she was excited and she went right away and posted her job on Upwork, and so she’ll probably be hiring her VA in the next couple of days if she hasn’t already. She sent me a private message and was like, “You’re awesome, Tiffany. I think I may have found one. I got ten applicants, narrowed it down to three.” So she will have somebody. She definitely will. Have you even considered your services to someone like that, in that type of business? If this is something that gets you interested and you’re like, “Ooh, Tiffany, I’ve never thought about that before,” make a list of everything you think someone in that type of industry would need. It’s even better if you know somebody in direct sales. Shoot them an email. Shoot them a message. Give them a call and ask them questions about what all do they have to do for their business. That alone will let you know. I’ve already named a few things that I know she said she was interested in getting some assistance with, and there may be other things as well. If you are, say, a social media virtual assistant, hey, people in direct sales need social media. The same services that you’re already providing may fit nicely for someone in direct sales as well as some things that are specific to them because they are in direct sales. They’re sending out hostess packets. They may be sending out postcards. You know, I had to go to the post office the other day to mail out catalogs. They’re doing newsletters, all kinds of different things that they have to do for their business that’s not direct contact with their customer or client. Hopefully, someone would not have you hostess coaching somebody. If that’s the case, that’s crazy. I don’t think anybody would you have you doing that, or doing follow-up calls, make sure the people are enjoying their products. But there are other things that are not as hands on with their clients and stuff that they could definitely use a virtual assistant for. Start brainstorming that. Contact people you know. Write down the ideas if this is something that you would definitely be interested in, and put it out there. Write a blog post about it. Post something on Facebook about it. Put something on LinkedIn about it, because direct sales people are everywhere, and you’re planting a seed and letting them know you’re available, or that the opportunity in general is out there and that it’s available. I have played with this idea in the back of my mind. Probably just need to start doing it, and writing different blog posts about how different local businesses can use virtual assistants. Because while its on the forefront of our mind, and a lot of our clients who are online, it’s on the forefront of their mind, but people whose businesses are more direct brick and mortar, in person face-to-face, belly-to-belly, they may not always think about the fact that they could have some help that’s not in their same city, state, town, what have you. They may not have thought about that. It’s up to us to put it out there and let them know how they can use a virtual assistant. All right. Going back to the Facebook shows. Have you thought about having your own Facebook Live show and really giving people a peek at what you’re doing behind the scenes? I just believe that puts the human side to you. People are curious. What are the first questions that people ask you when you are doing your initial consultation or interview calls, whatever you call them? What are those questions that people ask? Those are some things you can start talking about. I’ll tell you the first Facebook Live show I’m talking about scheduling system Calendly, and that topic came as a result of a question I got a few days before from a client about a scheduling system and what she wanted to do and did I have any recommendations. I thought, oh, wow, this would be perfect to talk about on the Facebook Live show. Now granted, I had a list of topics. I’ve got a list of topics all the way to November to talk about on the Facebook Live show, but I’m flexible in the topics, and I thought that would be perfect. Because guess what, the next time a client asks about my thoughts about scheduling, I can point them to that information. Now, that video, I’m going to have the audio of the video transcribed. It’s going to become a blog post on VirtualHiredHand.com, and people have the option to watch the video or put it in word. It’s going to function similar to how the podcast does for TiffanyParson.com, and that there’s a podcast, there’s audio on the website, or reading it. Because sometimes we want to listen, sometimes we want to read. This will be flipped and have sometimes you want to watch a video. Sometimes you just want to read the words, and words are great for Google and also perfect for hyperlinking, right. You know, people can just click versus having to write down what links are and things like that. I’m sharing all of that with you to give you an idea of how I’m using the same information. I’m doing it one time and using it several different places. Time is limited, yet we have all these things we need to do in getting information out there, content out there. These are ways we can utilize what we’re already doing, or plan to do, in more than one way. I don’t know if you guys have seen – I did share on my main Facebook page. I have two other Facebook pages for direct sales, and the reason it’s like that is because of their rules about social media and having a Facebook page. If you mention their product, you know, have a dedicated page separate from other things, blah, blah, blah. So that’s why it’s separate, but it’s good. But I did share it on my main Facebook page. Those videos, they aren’t being transcribed, but I’m breaking them up into 30 second videos, one minute videos, for Instagram. So it becomes content for Instagram and if you’re following me on Instagram, you’ll be able to see how that’s being done as well, and how you can do the same. I don’t know if you have other things that you’re working on besides your virtual assistant business, but if you are, it should give you an idea of the possibilities and what you can do. Obviously, I’ve just gotten started with it. I’m having so much fun with video. It reminds me of when I first started podcasting and I just had fun being able to share about being a virtual assistant because at that point it wasn’t like on a daily basis I was able to share that information. I was doing projects, but not able to share different tips and things I was learning and stuff like that. Now, what did we do? We went back. I think it was 2011 when those BlogTalkRadio shows started, and now we’re five years down the road on that, and I’m still talking and running my mouth about being a virtual assistant, whatever you call yourself. You know what I say in the intro – whatever you call yourself. I know people say different things, but I do know when people are posting in groups, they are not looking for our fun creative titles. They say their virtual assistant. Whether it’s in the direct sales group or coaching groups I’m in, different stuff like that, that’s what they’re saying. Upwork is the recommended site. If you are not on Upwork, get on it. Make that your business to do this week. If you’re not sure how to set it up after you’ve signed up for Upwork, I have a course on my website that teaches you how to be successful on Upwork. If you go to the website: TiffanyParson.com and click on courses. It’s on that page and you’ll be able to find that and get some information on the course. It includes a 2-hour webinar that I did along with a 21-day challenge guide for Upwork. It breaks it down day 1 all the way to day 21. You don’t have to follow it like that. If you want to just dive in for the whole thing, you don’t have to follow it like that. But that is how it’s broken up, and the reason it’s 21 days is because they say it takes 21 days to create a habit. So that’s why it’s all broken up into that. That course is out there and available for you. Like always, I want to thank you so much for listening to the show, and remind you to go ahead and submit your review on iTunes. I’d love to get your feedback on the podcast. This is your show. It’s all about you. All about the business of being a virtual assistant, being a virtual assistant business owner, whatever stage you are in your business. Thanks again for listening and you have a fabulous and prosperous week. Thanks so much for tuning in. If you like what you heard, stay tuned. We’ll be back. Tell me what’s going on with you. Come on over the Facebook page: facebook.com/tiffanyparsonbiz, or if you prefer a little shorter message, come on over to Twitter: @tiffanydparson.